To feel okay, only for a few hours- is the dream. A short visit to the city of Los Angeles became an escape from treatment and the disease itself. The doctor said to stay active and live a normal life, the doctor also warned of the potential problems with travel. Here I am, a risktaker. 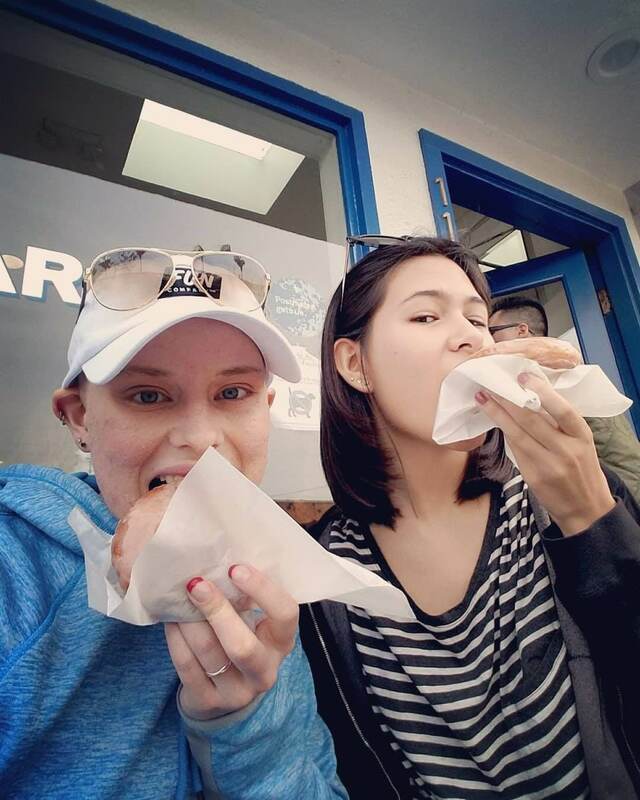 I had too many adventures to list but here are some of my favorite snapshots and memories with my mom, my aunt Teri, and my college bestie- Ellie. After a Friday night in Downtown LA, Teri hosted us to brunch in an historic joint and helped us navigate Southern CA freeways to get me to Venice Beach. Venice Beach is exquisite, and I am jealous Ellie grew up in a place with the flavor and spice it has. For those who have not been, imagine a sunny beach town where everyone seems to have something to smile about. Add some colorful murals, costumes that pass for every-day outfits, food as expensive as it looks, and countless boutique stores cohesive in their differences. At the bare minimum, I hope to visit again but if the opportunity to live their presents itself- I will not hesitate to say yes. Ellie and her family were warm hosts who were willing to show me around to some of their favorite spots. By my request, we dined at an In-n-Out Burger- they cook up a satisfying burger. Catching up with a college friend helped me to reconnect to the University of Maryland and see a landmark of my friend’s personality- her hometown in SoCal. For as long as I can remember, Disney has been my happy place. Always magical for me, I never failed to get as excited as a child to experience the familiar smells, smiles from cast members and routes to my favorite rides- that I seemed to know better than the back of my hand. Initially I was worried my disease would hinder my Disney experience given my fatigue and the Spring Break crowds. As always, Disney impressed by providing a disability pass allowing me to still get the most of the day. In short, it is essentially an additional Fast Pass for my party- the main differences are there are infinite amount for the day (as long as we only had one at a time) and we only had to wait the current wait time before redeeming the disability pass rather than waiting all the way to the end of the day like the regular Fast Passes. I was able to utilize these by spending more time drinking ice teas with my feet up instead of weighting hours in line. Somehow, I managed to walk over sixteen miles on the second-full day of Disney. By the sixteenth hour, I began to think I might have pushed myself too much, but I figured I could take all the time to rest when I returned home. My favorite ride is still Hollywood Tower of Terror but it has been adjusted since Disney bought Marvel. 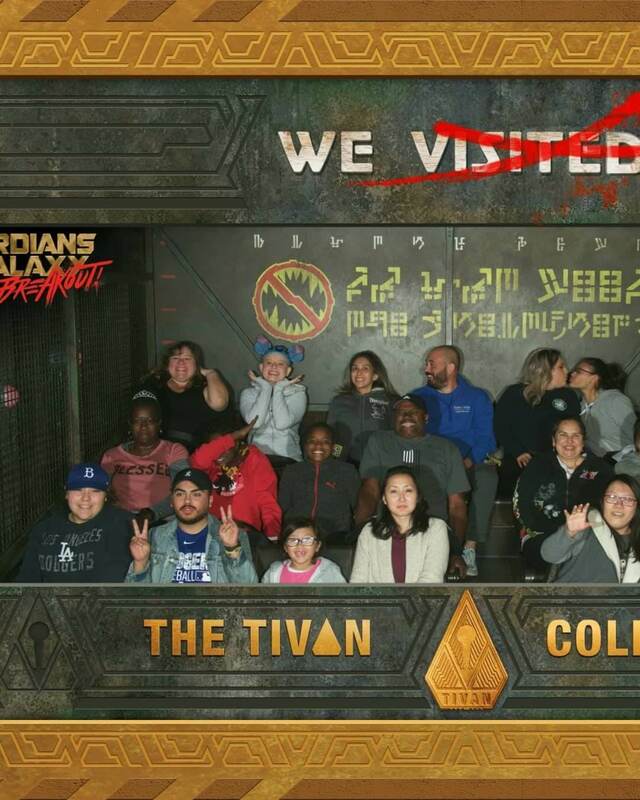 Now it is a Guardian of the Galaxy themed ride- very similar to Tower of Terror. An improvement to the Tower of Terror is the fun classic rock sound track to the ride and a downgrade is that the elevator that opens to the rest of the Disney park only opens once rather than multiple times. I always thought looking out on the park showed how high up the elevator was up and was also a striking scene, especially at night. I was also surprised I did not get more motion sick on the rides, I only seemed to struggle with Soarin’ Over the World most likely because it has a more simulated approach to the ride. And at the end in my normal handwriting: Also, I do not know if you knew that I was sitting next to Ann Coulter but let me refute her tweet she was typing next to me, do not build the wall. China tried that a bit ago and it did not work out to well for them. Avoiding politics, I would just like to make it known that body language and reactions to the surrounding public showcase celebrity’s personalities. Before knowing who I was sitting next to (my mom later informed me), I felt a cold and unforgiving presence of the person next to me. 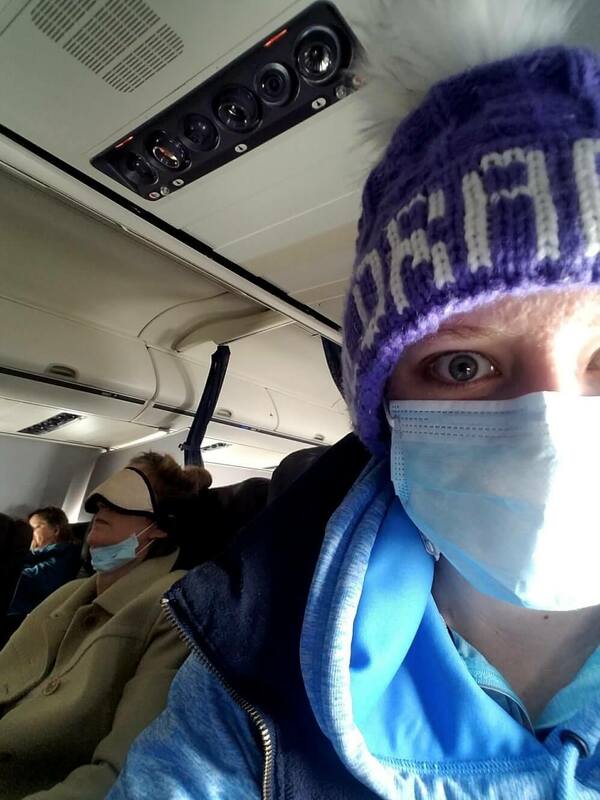 It seemed obvious I had cancer (sporting my bald head and face mask) and not to say I expect special treatment but at least someone courteous enough to keep her eye mask off while I was in the bathroom so I had some way to communicate that I needed to get back to my seat…she also was sporting ear plugs. I joked that some comedian could make quite the funny bit: A Cancer Patient and Ann Coulter side-by-side on an Airplane. I enjoy using a mixture of fonts, colors, spacing, lines, etc. while writing because it keeps the creative juices flowing and helps me try to organize the mess of thoughts to something more meaningful for an audience. 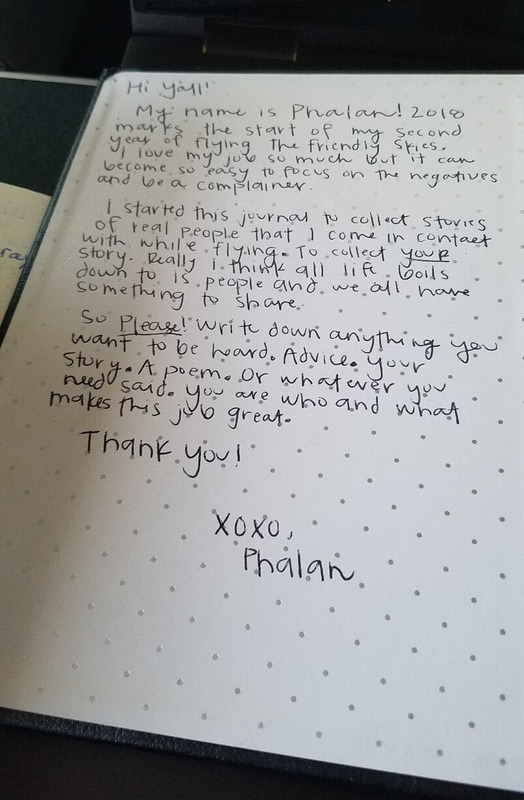 Travelling is much more eventful in LA, with cancer, being willing to write in public in a journal, and by not being bogged down with to-do lists and other daily stressors. Flying on an airplane, being exposed to hundreds of thousands of people, and staying in new places are not among the most recommended activities from my doctor; however, I will keep citing back to the initial diagnosis where my doctor asked me to stay active and keep as normal of a life as possible. I have always been a big traveler and found renewed energy and hope for the future while on my adventures. I am proud to say I stayed healthy and caught-up on my sleep as I have been averaging thirteen hours a night since returning home. Sweet girl, I was sorry to hear of your diagnosis. Having gone through chemo half of 2017, I know how hard it can be. 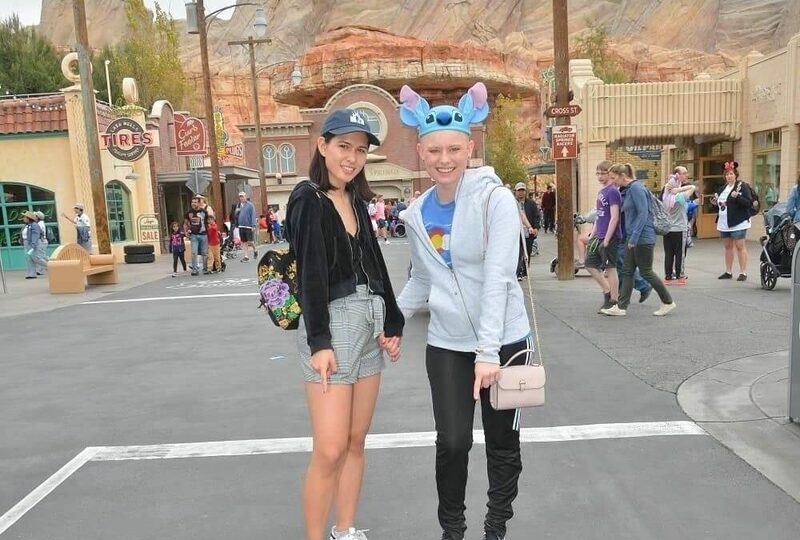 You are a beautiful and inspirational girl and I will be thinking of you. I may stop by chemo central to visit when I’m over there. Take care of yourself. Attitude can be everything but it’s also ok to have a bad day. Hugs! 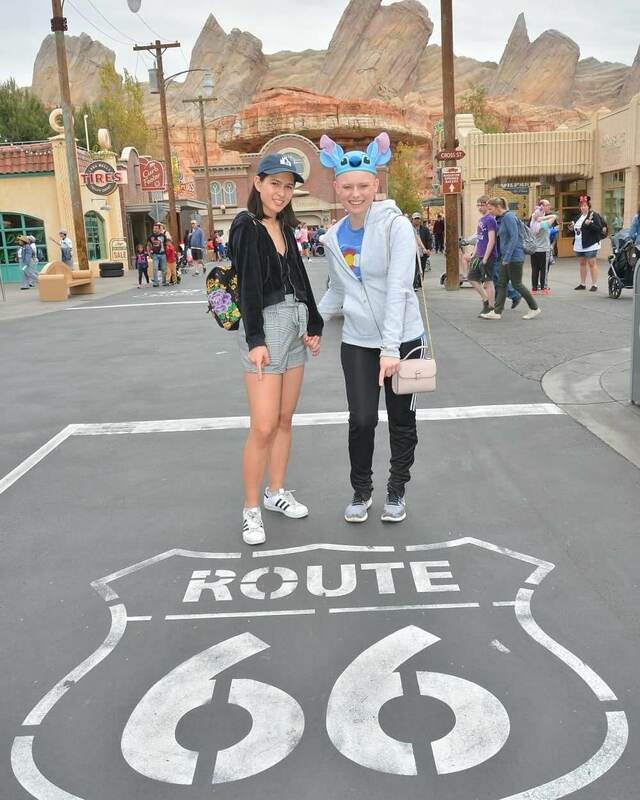 Thanks for sharing the photos of your awesome California trip. I’m so glad you were able to reconnect to your friend, Elle. Keep smiling! Your blog is a great way to follow your fight against cancer and to relive your experienceses through your well written words. As a cancer survivor myself and as a father who has a son that has survived cancer and as a brother whose sister is a cancer survivor as well as an uncle whose nephew has just finished 6 months of chemo for a cancer similar to yours, I have a shared knowledge of your experiences fighting this disease. My mother though was not successful in her fight; it is a very sinister disease. Concerning the Great Wall of China, it allowed the first Chinese Empires to flourish and provided protection from raids, regulation of trade and controlled immigration. The First Emporer of China could not have stabilized his empire without it or implemented many of the standards he put in place that attributed to the success of the Chinese Empires.